Since The Sunday Times named Palma in Mallorca in 2015 the Best Place to Live in the World, the Mediterranean capital’s appeal to foreigners has soared. Finding an affordable pied-à-terre to buy in Palma’s historic old town has become a challenge, but even spending a short break in the city is enough to discover why it earned the broadsheet’s accolade. Unlike most of Mallorca’s resort areas, Palma is open all year, making it ideal for a city break in winter or spring, when hotel tariffs are lower. The city’s pace is also less frenetic than in summer, when the city’s population is swollen by cruise ship passengers. On just one day in August 2016, seven cruise ships brought a record-breaking 25,116 passengers into Palma. The main growth area in the city’s accommodation sector is boutique hotels: several opened during 2016 and five more are due to open this year. Many of these smaller properties are conversions of historical buildings, appealing to the more sophisticated travellers that the island’s tourism bosses are keen to attract. Anyone with an interest in antiques and art, for instance, should enjoy a stay at Art Hotel Palma, which opened close to the Plaza Mayor. When the owner closed his antiques shop here, he converted the premises into a chic 13-room place stuffed with antiques and works of art he had collected over 40 years. For that coveted old-town address – even if only temporary – head for the five-star Sant Francesc Hotel Singular. Once an abandoned 19th-century neo-classical mansion home, it was converted into a 42-room hotel full of artisan-restored original architectural features. Additions from the 21st century include a large roof terrace offering panoramic views of the city, a swimming pool and bar. Just 18 months after its spring 2015 opening, the 2016 Condé Nast Traveler Readers’ Choice Awards named it one of the Best 50 Hotels in the World and Top Hotel in Spain and Portugal. Mallorca has a record nine Michelin-starred restaurants for 2017, of which two are in Palma. Although most of Mallorca’s starred restaurants close during winter, those in Palma stay open. London-born chef Marc Fosh retained the star for his eponymous restaurant in the city and was and still the only British chef in Spain to gain the coveted accolade for his food. He opened two new restaurants in central Palma during 2016: the bistro-style Fosh Kitchen and Fosh Lab, offering experimental cuisine in the form of tasting menus. And after a decade working in Russia, Fosh’s former sous chef Adrián Quetglas returned to Palma in 2015 to open his own eponymous restaurant, gaining a Michelin star for this year. Several new Palma restaurants have already opened in 2017, including the new upmarket Burger Lab on the Paseo del Borne – part of what is known as Palma’s Golden Mile for its prestigious designer boutiques and stores, including Louis Vuitton. Quadrat, the Sant Francesc Hotel Singular’s restaurant, offers a high-quality menú del día, a three-course set lunch with choice of dishes. During spring it may be warm enough to eat lunch al fresco, enjoying the surprisingly quiet garden setting. In late 2016, the hotel appointed Alfonso Lillo as its new executive chef; his previous experience as head chef to the Qatari royal family suggests a promising gastronomic experience for diners here. Although Palma has been a popular MICE destination for some years, it lacked a venue able to accommodate larger conferences and conventions to boost bleisure and off-season tourism. 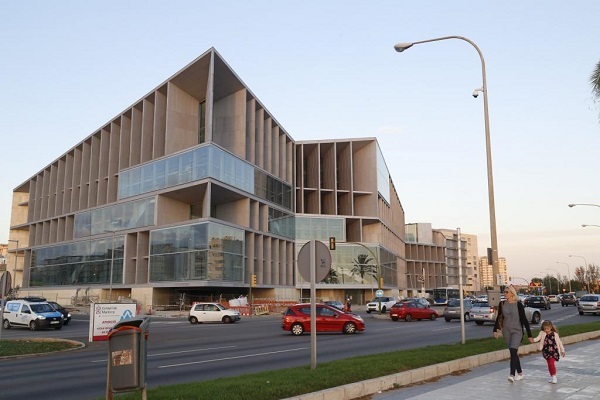 Work began on the construction of a dedicated congress centre and adjoining hotel on Palma’s seafront in 2008 and, after a number of controversial and lengthy setbacks to the project, the Palacio de Congresos will finally open for business on 1 April. Melia Hotels International, which manages more than 200,000sq m of meeting space across four continents, is at the helm of the Palacio de Congresos and the adjoining four-star 268-room Melia Palma Bay hotel. With a total capacity of more than 3,000 people, the congress centre’s facilities include a main auditorium accommodating 1,978 delegates; a small auditorium for 462 people; an exhibition area, 1,000sq m of meeting rooms, and a large restaurant. Additional delegate accommodation is available at Melia’s other nine hotels in Palma and nearby southwest area. The first major boost booked for Palma’s off-season tourism will be from the end of this October when Mercedes Benz is bringing more than 1,000 delegates to a three-week global convention here. Melia aims to position Palma as one of the top 50 cities worldwide in the MICE sector and the preferred European business hub. If it succeeds, it will be yet another accolade for Mallorca’s cosmopolitan capital.